Postseason: NCAA: lost to Ohio State, 62-59, in first round. Seniors losing: G Nick Weiler-Babb (91. Ppg, 5.0 rpg, 4.0 apg), G Marial Shayok (18.7 ppg, 4.9 rpg), G Prentiss Nixon (no statistics), F Zoran Talley Jr. (1.8 ppg). Any NBA Bound? 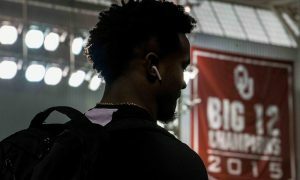 : Weiler-Babb and Shayok certainly have the skills to get to the next level. Shayok’s scoring will be of interest to NBA scouts in the second round or as a priority free agent, and as of now ESPN.com as Shayok No. 100 in their 2019 Draft rankings. 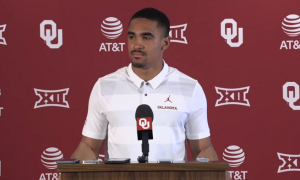 Weiler-Babb’s overall ability to run a team could land him on a summer league team. Any One-and-dones or early entries? : There are two to watch. Scouts are hot on freshman guard Talen Horton-Tucker, who is currently No. 18 on ESPN.com’s Top 100 for the 2019 NBA Draft. The other is Lindell Wigginton, who has the skill set to play in the league but is not listed in the ESPN.com Top 100. Top players returning: G Lindell Wigginton (13.5 ppg, 4.0 rpg, 38.6 percent from 3-point line), G Talen Horton-Tucker (11.8 ppg, 4.9 rpg, 82 assists), G Tyrese Halliburton (6.8 ppg, 3.4 rpg, 43.4 percent from 3), F Michael Jacobson (11.1 ppg, 5.9 rpg), F Cameron Lard (5.6 ppg, 2.8 rpg). The player you don’t know about: F Zion Griffin. One of the jewels of head coach Steve Prom’s 2018-19 recruiting class, Griffin has played the least of the four. But that doesn’t mean he’s no less important to this team’s future. The 6-foot-6 forward was a Top 10 recruit in Illinois and was rated a four-star recruit by 247Sports.com. There should be an opening in the rotation for Griffin next season. He averaged 21.1 points and 9.0 rebounds his senior year of high school. Recruits already in the house: PF Luke Anderson, 6-foot-8, Lakeland, Fla.; PG Tre Jackson, 6-foot-1, Blythewood, S.C.; SF Marcedus Leech, 6-foot-5, Poplar Bluff, Mo. 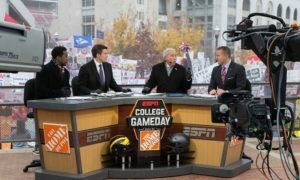 All three are signed and all three are among the Top 20 recruits in their respective states. After spending last season raiding Illinois and the Chicagoland area, Prohm and his staff have worked to expand their footprint. There’s a chance more than one of these players could redshirt next season. Commitments yet to sign: 247Sports.com reports no hard commits for the Cyclones. Summarizing the season: I expected the Cyclones to be better than last season and that’s exactly what they were. 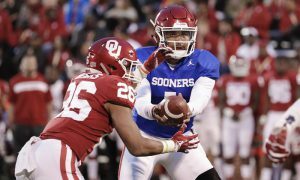 Weiler-Babb returned from his injury, the transfers were eligible and the freshmen — especially Horton-Tucker and Halliburton — had an impact immediately. 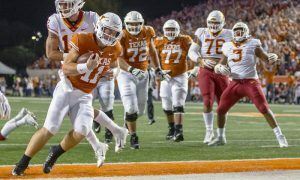 An injury to Wigginton and Lard’s suspension opened up spots in the lineup for the freshman duo and for Shayok to assert himself as the team’s primary offensive threat. By Big 12 play head coach Steve Prohm had a problem — stick with the current lineup or insert Wigginton back in now that he was healthy. 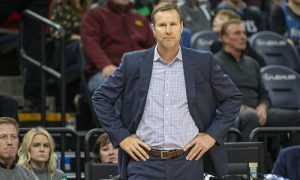 Prohm kept the starting five together and asked Wigginton to be the sixth man, and Wigginton ended up being the league’s Sixth Man of the Year. He basically played starter’s minutes. Lard started coming around in February and at times flashed the athleticism that we fell in love with a year ago. Jacobson was the team’s quiet fulcrum in the middle, putting up steady numbers in the middle. 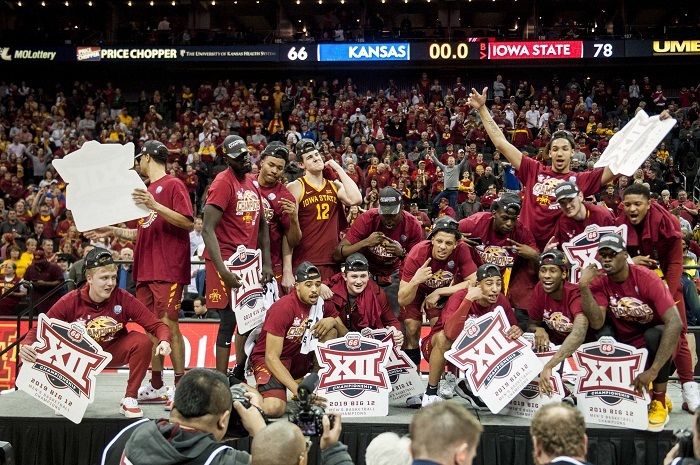 The Cyclones needed all of it to win the Big 12 Tournament title for the fourth time in six years. The loss in the first round of the NCAA Tournament was a bit of a downer for a team that I felt had the goods to reach the Sweet 16. Looking ahead to 2019-20: First, the Cyclones have some hurdles. Prohm is now a hot commodity coaching-wise, and now that Alabama has parted ways with Avery Johnson, Prom’s alma mater may have interest in him. 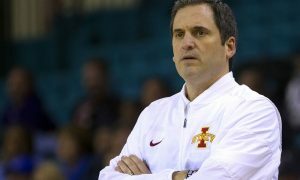 That’s reason for concern, even though Prohm said after the NCAA’s that he’s interested in being the best head coach he can be for ISU. Next, there’s dodging any early losses, specifically Horton-Tucker, who has risen up draft boards. 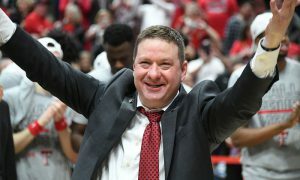 Assuming ISU retains Prohm and doesn’t lose any more players, his most significant task will be finding a replacement for Weiler-Babb at point guard. That would be Wigginton, who logged some time at point as a freshman. That is, of course, assuming Wigginton doesn’t bolt early, too (and I think that chances of that are slim). There is enough returning talent to replace Shayok’s scoring. Development by players like Halliburton, Griffin and George Conditt IV are key to the Cyclones matching, or exceeding, this season’s effort.